Juventus got themselves into the top 4 positions in the league for the first time this season as they recorded an impressive 3-1 win at home against second placed Fiorentina. 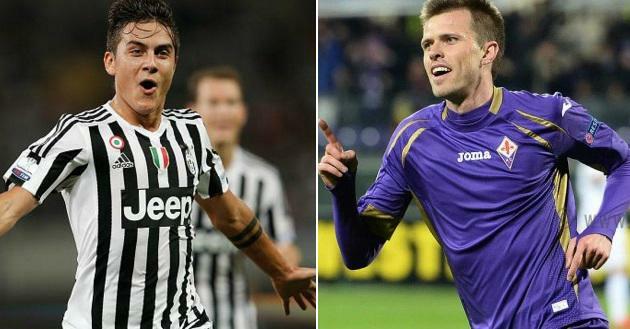 Cuadrado, Mario Mandzukic and Dybala scored for Juventus after Josip Ilicic had give Fiorentina the lead. Juventus took on second placed Serie A side Fiorentina on Sunday night and it was a very entertaining game with two early goals opening the game up. Josip Ilicic Penalty Put Fiorentina 1-0 Up: Josip Ilicic penalty put Fiorentina 1-0 up in just the third minute of the game while Juan Cuadrado stike minutes later to make it 1-1 for Juventus as both teams went into the break level on scoresheet. Mario Mandzukic second half goal earn three points for Juventus: Mario Madzukic and Paulo Dybala second half strikes were enough to seal all three points for Juventus who go fourth in the table with 30 points just six behind Inter Milan who have 36. 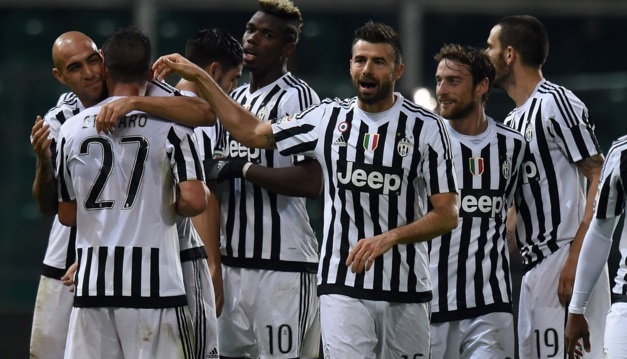 Juventus vs Fiorentina Preview: Juventus started the season poorly but have been getting decent results off late and climbed to 5th place with 27 points. Playing at home they will be expected to win against Fiorentina who are kind of surprise package this season having won 10 games already this season. Fiorentina’s away form is pretty soild with 4 wins out of the 7 and they only lost twice on the road while Juventus has are solid at home with 4 wins, 2 draw and only 1 defeat so far. La Viola will be without the likes of Roncaglia and Błaszczykowski but they will have Giuseppe Rossi and summer signing Kalinic who is currently top scorer for Fiorentina. Badelj, Vecino and Alonso are expected to play in midfield. Juventus on the other hand will have Morata and Dybala playing upfront with 5 man midfield will include the likes of Pogab, Sandro, Marchisio, Sturaro and Lichtsteiner. 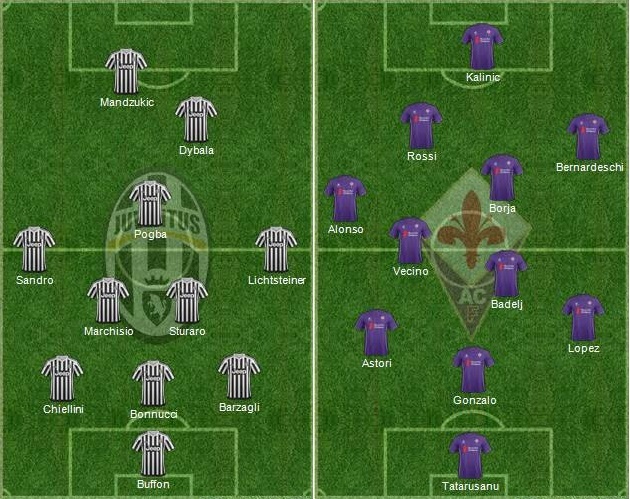 3 man defense of highly experience trip of Barzagli, Bonucci and Chiellini will make up todays starting lineup. This is how I expect both teams to lineup on Sunday night. Predictions: Fiorentina are a very difficult side to play against and Juventus have been inconsistant this season and the result of this game is hard to predict. Having said that first goal will pretty much settle the game for either side and I am going with Fiorentina to record a slightly surprising win against Juventus today.